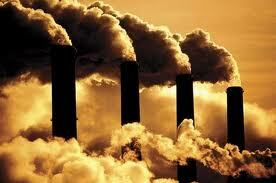 Coal-fired Power Plants Big Polluters | R.E.T.A. As Jennifer Grant of the Pembina Institute points out in her letter to the Edmonton Journal, five of the 10 largest greenhouse gas-polluting facilities in Canada are coal-fired power plants in Alberta. Alberta has the highest percentage of coal-fired power generation in the country. Not only do our coal-fired power plants contribute significantly to Canada’s greenhouse gas emissions, but Grant points out that coal contributes 60% of all the toxic mercury emissions in Alberta. It’s important to note that in spring 2010, the federal government told the coal-fired electricity transmission industry to transition to cleaner technologies, such as natural gas, wind or hydro, in order to reduce Canada’s overall greenhouse gas emissions. But while the rest of Canada transitions to cleaner electricity generation, Alberta continues to lead the country in coal-fired generation, and in fact continues to approve new coal-fired generation projects (e.g., Maxim Power Corp’s Grande Cache power plant approved in 2011). The controversial Heartland Transmission Project and Western Alberta Transmission Line currently under construction will both be transmitting dirty coal-fired electricity generated at Wabamun and Genesee. The Eastern Alberta Transmission Line will likely be connecting with the Heartland system and will therefore also be transmitting coal-fired electricity. Not only will these three 500 kilovolt lines be supporting additional greenhouse gas contributions in Alberta, but these lines have clearly been shown by independent experts not to be necessary. In fact, industrial consumer groups have indicated that the additional costs of these lines, paid for by consumers, may well render many industries and businesses uncompetitive and force some of them to move to other provinces where electricity prices are lower. ~ by RETA on January 14, 2013.